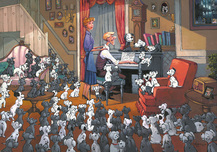 101 Dalmatians is a live-action film produced by Walt Disney Pictures in 1996. 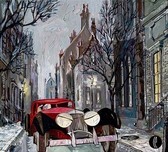 It is a remake of the 1961 animated film One Hundred and One Dalmatians (which in turn was based on Dodie Smith's 1956 novel The Hundred and One Dalmatians). 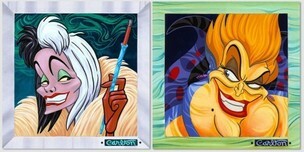 It stars Glenn Close as the villainous Cruella de Vil, and Jeff Daniels as Roger, the owner of the 101 Dalmatians. 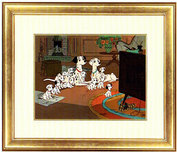 Unlike the novel and earlier adaptations, none of the animal characters talk. 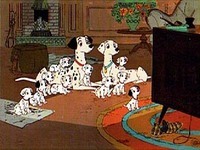 A sequel, 102 Dalmatians, was released in 2000. 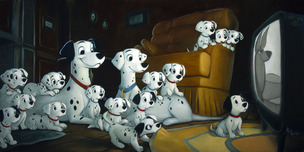 Remember every time you purchase a 101 Dalmations artwork over $995, shipping is FREE in the continental U.S. and there is NO SALES TAX when you purchase outside of Colorado. 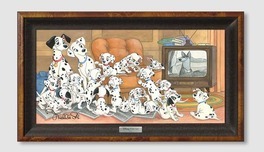 We SHIP WORLDWIDE and offer Layaway for 101 Dalmations art.